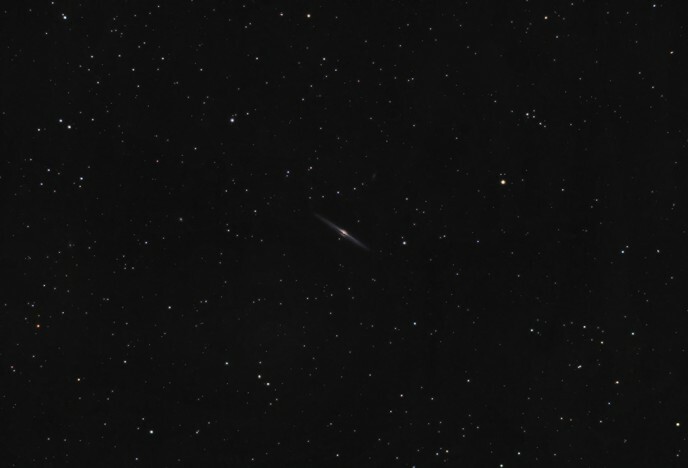 I captured the Needle Galaxy in late April of 2016 with my 80mm Explore Scientific ED80 telescope. This edge-on spiral galaxy lies 30 to 50 million light-years from Earth in the constellation Coma Berenices. It’s one of my favorite galaxy season astrophotography targets and shows up well even in small refractor telescopes. The early Spring temperatures helped keep my camera cool when photographing the Needle Galaxy. 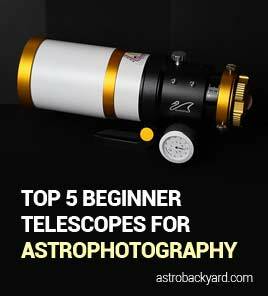 Spring is a great season for astrophotography because of the long nights and mild temperatures. It’s cool enough to keep your DSLR sensor at a reasonable temperature, but not cold enough to numb your fingers while outside! 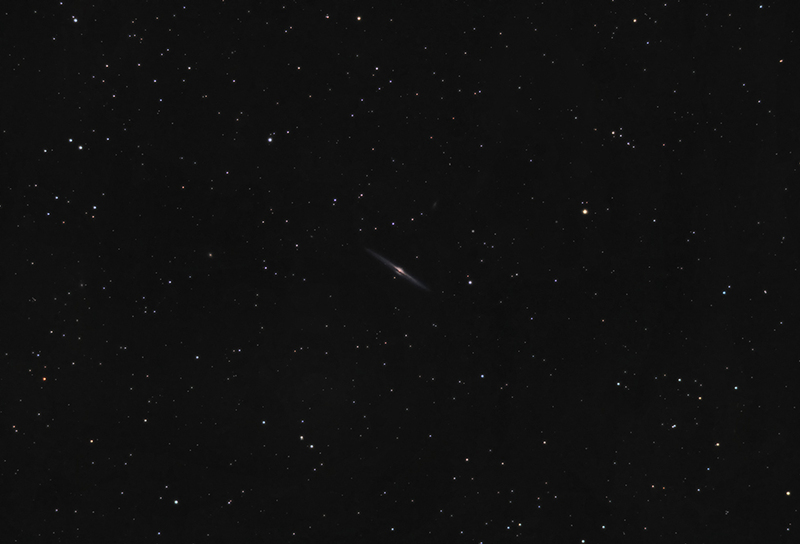 For this image of the Needle Galaxy, an importance was given to star reduction and color. Using the Astronomy Tools Action Set, several iterations of the “make stars smaller” action was applied, with a mask on the galaxy itself. The reason I mask the galaxy when applying this filter is to make sure that the brightness or detail of the DSO is not lost in the process. I also used the gradient removal technique, as shown in my Photoshop tutorial. This was especially effective at removing the wavy color variations in the background sky color. Wide field photos of galaxies like this can really showcase the imperfections in your background sky. Finally, a selective amount of the “less crunchy, more fuzzy” action was applied to only the brightest stars in the image. This is a great technique for giving the image more depth. 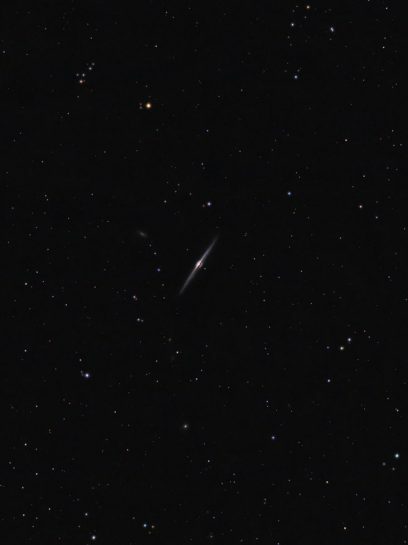 I photographed the Needle Galaxy over 2 nights in April 2016 from my light polluted backyard. The small apparent size of NGC 4565 in my 80mm refractor telescope made this a challenging photography subject for me. Larger instruments such as an 8″ SCT would be much betted suited for capturing a galaxy of this size. 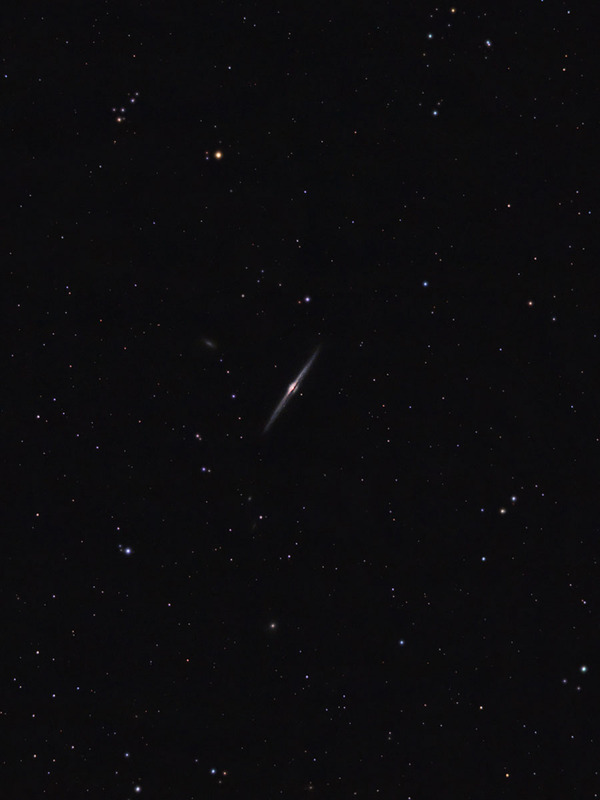 The Needle Galaxy is about the same size as the Whirlpool Galaxy, although it is on its side. This is about as small a galaxy as I can realistically photograph with my 80mm telescope. I just couldn’t resist pulling out more color and details from this striking little edge-on spiral galaxy. Here is a version of my image from the initial 1 hour of data captured on April 10th for reference. The difference is subtle, but you can now see more of the small surrounding galaxies in the area. I filmed a video on my Youtube Channel documenting my night in the backyard shooting the Needle Galaxy. I also dive into some aspects of my viewing area, and the amount of light pollution and trees my backyard sky suffers from. On this night, there also happened to be a beautiful, thin, waxing crescent moon setting in the evening before my imaging session. I set up my Camera 70D for some live-view moon photography, that is captured in the video. I hope you enjoy this peek into my backyard astrophotography adventures! This was a pivotal imaging session for my AstroBackyard YouTube channel. This is when I began to feel comfortable shooting my astrophotography videos in the backyard!